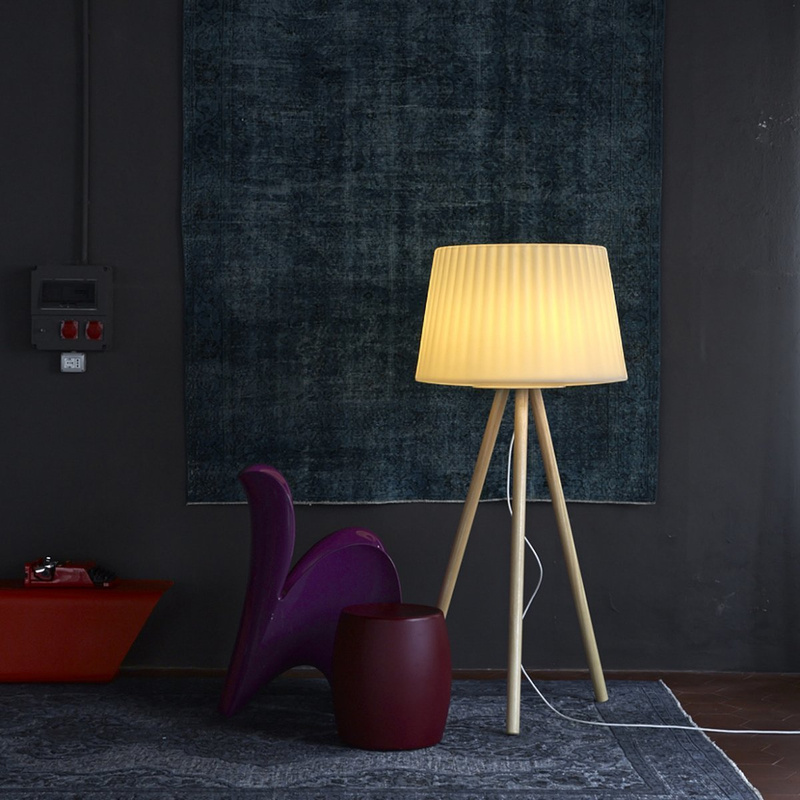 Agate Wood: modern materials for a floor lamp that works the charm of the past. 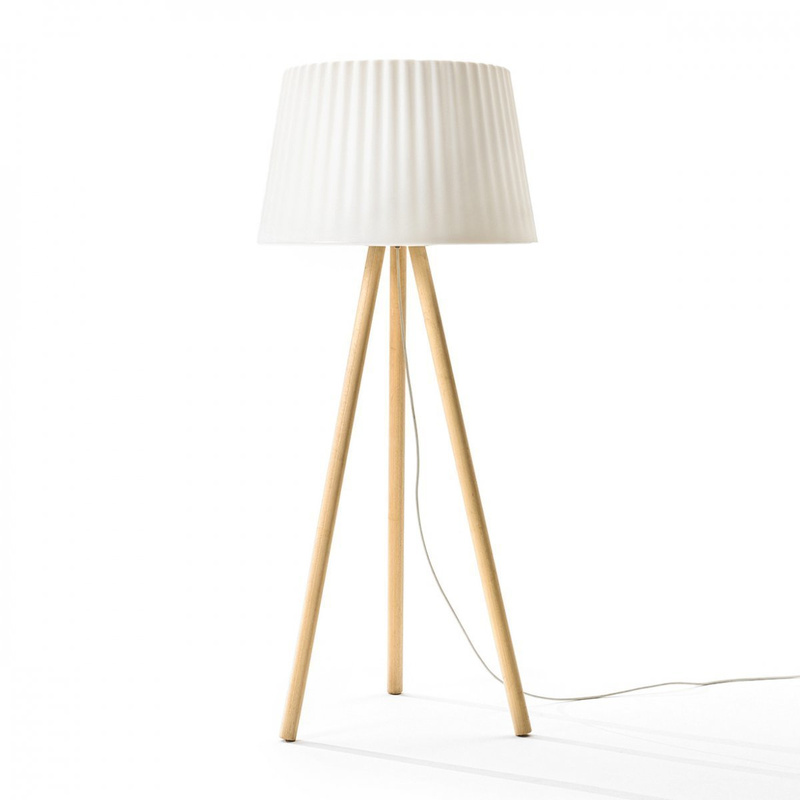 The Agata Wood floor lamp blends together traditional elements and innovative looks. 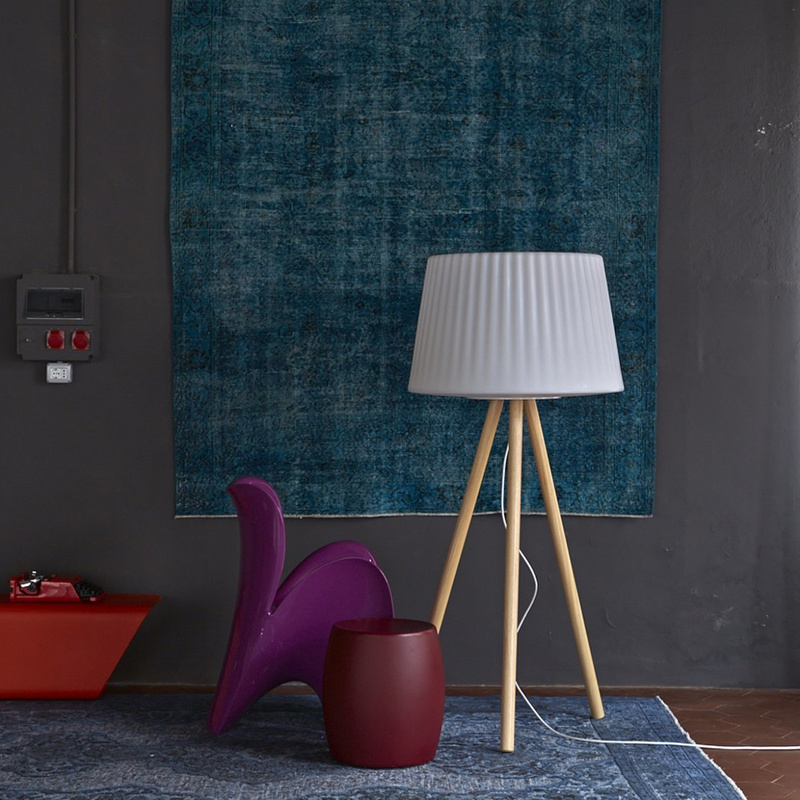 Sporting a large volume and features with high visual impact, this floor lamp flaunts a diffusor inspired by the most typical table lamps out there: a large head with a pleated texture, it immediately gives off the feeling of a familiar, warm and welcoming environment. The structure is made with exquisitely modern taste: clean and minimalist, it’s composed of a basic tripod stand that gives it a contemporary look. The diffuser, made from the innovative Poleasy plastic, rests on the stable and reassuring wood used to make the three legs of the structure. 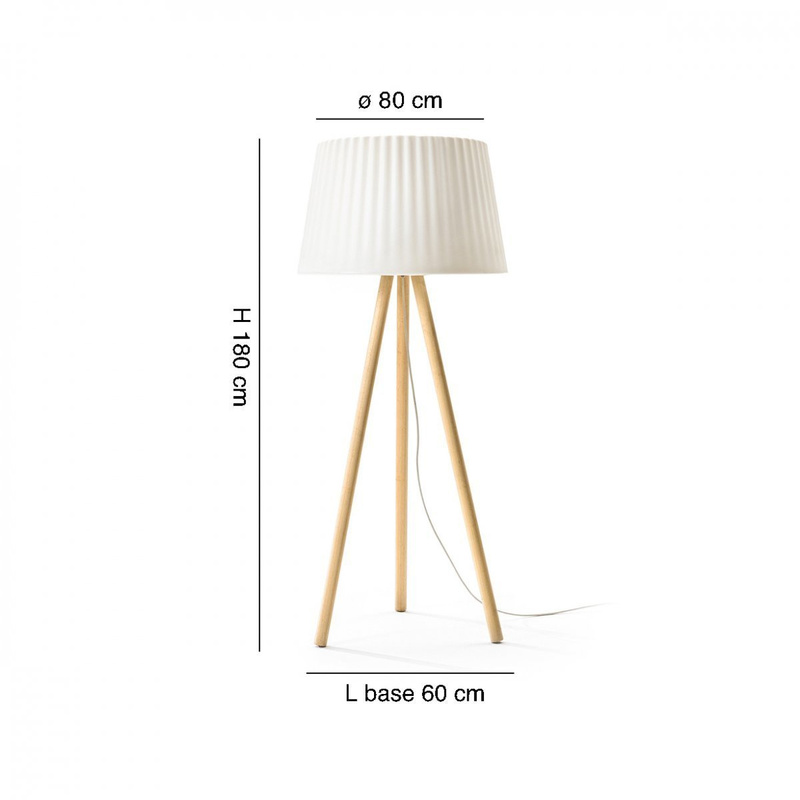 The Agata Wood floor lamp is designed to be used in both indoors and outdoor spaces. As a matter of fact, its surface is coated with a special treatment that protects it from the external elements. Drawn up by a trio of Moredesign designers, this piece is part of a collection Italian company Myyour from 2015 but has already made its way into the halls of the industry. Simple yet original at the same time, it offers flexible use and can complement both home and office furniture. In the home it works well in the bedroom where it adds an element of style to both classic and modern furnishings, all the while enriching its surroundings with a luminous touch. Positioned in the area of the sofas next to a reading chair or wardrobes and bedside tables, it is capable of adding new life to any surroundings. In professional contexts the lamp adds class to small offices but can also be a strategic choice to lighten up an elegant atmosphere in public businesses like restaurants and cafes. Agatha Wood is also quite the spectacle outdoors: located by the pool, on the terrace, in the garden or along the driveway, it will embellish spaces with an elegant, crafted charm. Info: bulb not included; recommended: E27 32W-230V 50/60Hz. An increasingly popular brand, Myyour features collections that have been able to charm a prestigious market segment as well as a demanding clientele thanks to the excellent materials used, the great care for details, and the exclusive touch it gives to every one of its creation, placing them halfway between craftsmanship and technological innovation.